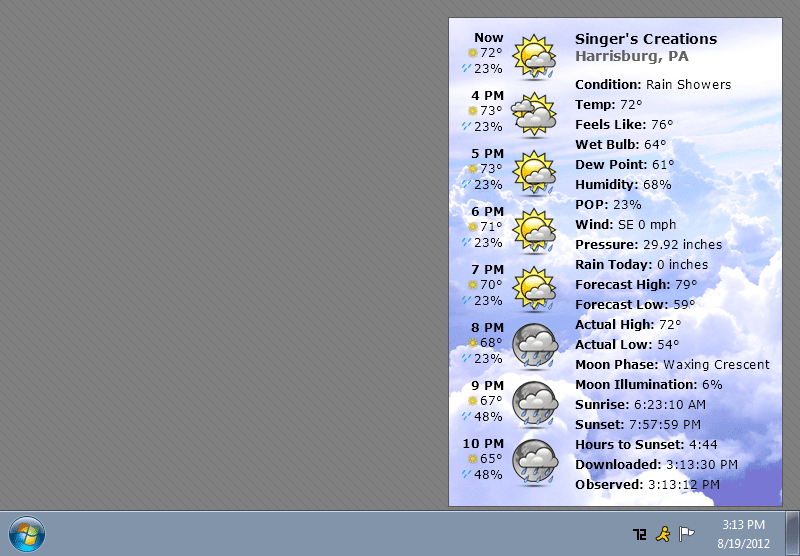 Accurate local weather conditions & forecasts. 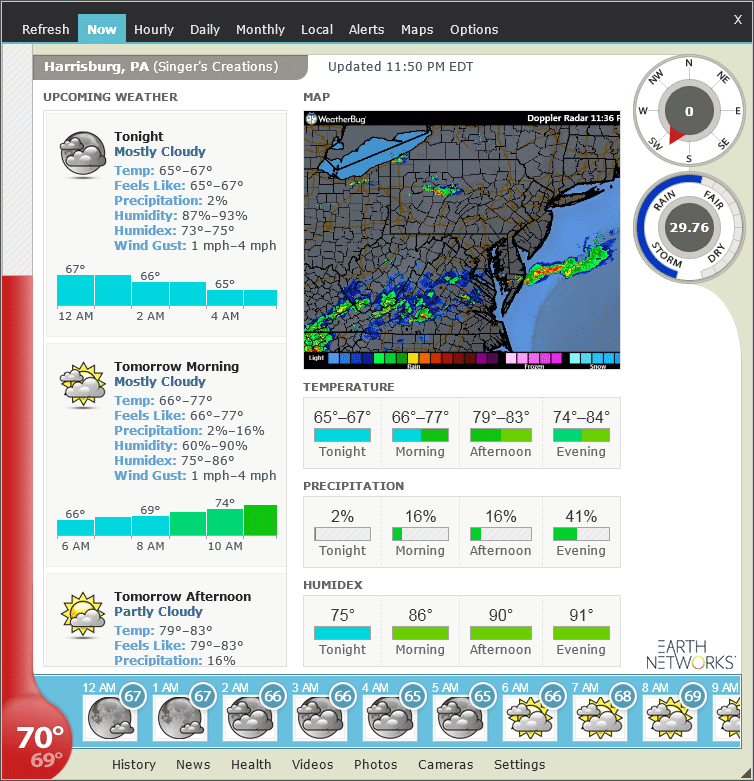 Weather Watcher connects you to the closest Earth Networks, NWS, CWOP, and Weather Underground weather stations to deliver the most accurate and up-to-date weather information. 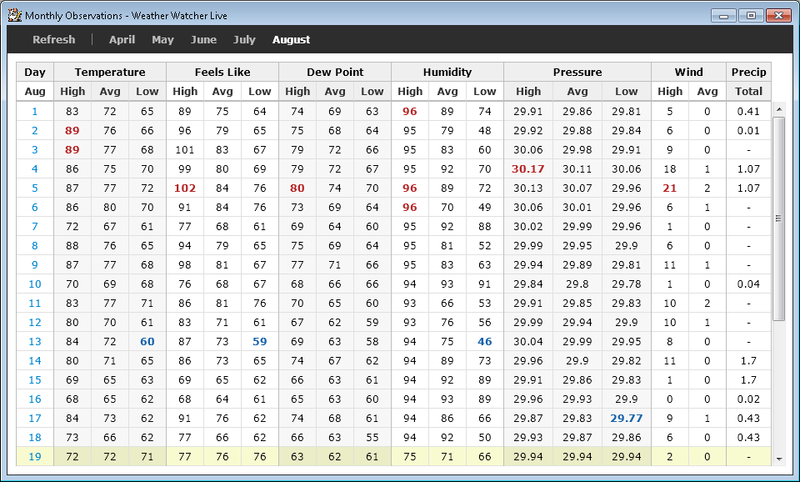 Weather Watcher is compatible with 32-bit & 64-bit versions of Windows 7, 8, 8.1, and 10. See the release notes for the latest changes. Don't have a license? You can try Weather Watcher for free for 14 days. Mouse over the Weather Watcher temperature icon in the Windows system tray area to see what the weather is doing right now. With Weather Watcher's detailed hourly and daily forecasts, you'll know how to dress and whether or not to leave your umbrella at home. Easily see what the weather is doing right now all around you. 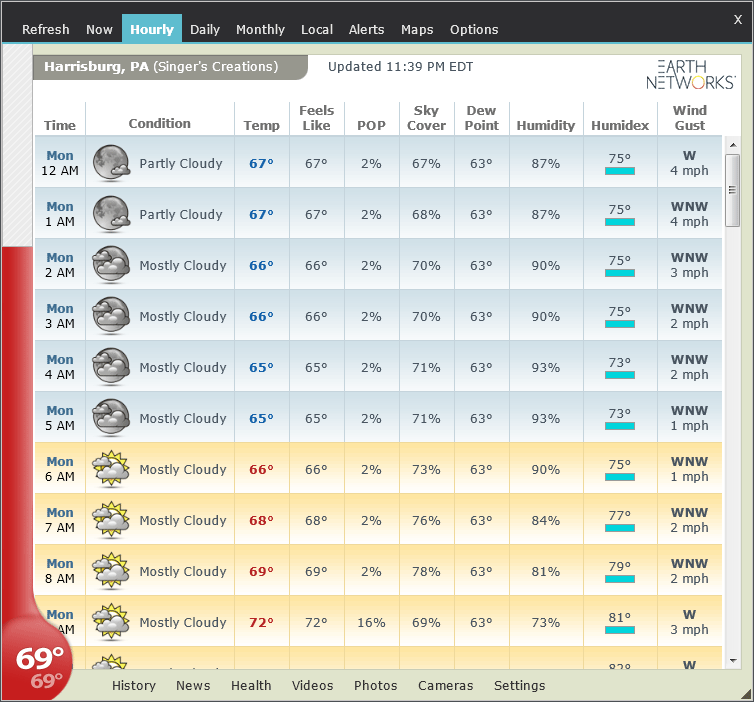 Use the map browser to quickly access your favorite weather maps. 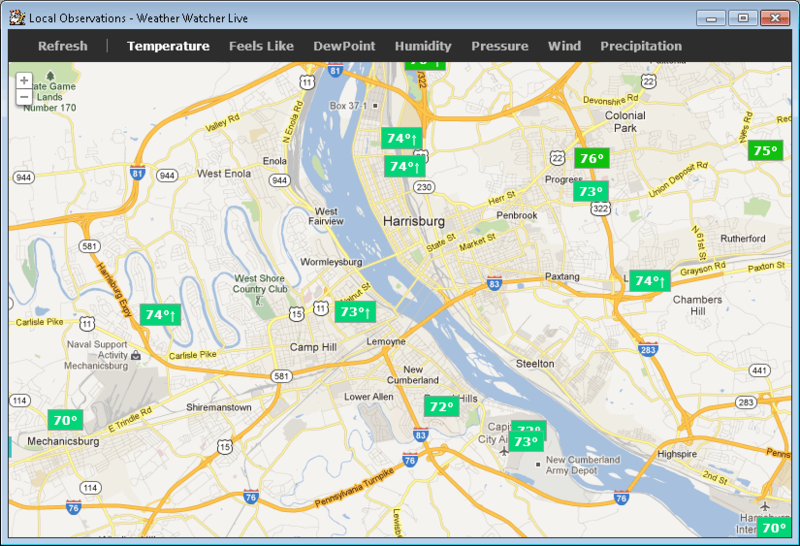 Choose maps from Weather Watcher's map list or add your own maps from any website on the Internet. Weather Watcher records your observed weather conditions. Go back later and review the highs and lows for a specific day of the month. Or, choose a day and view the weather conditions for every recorded minute of that day. 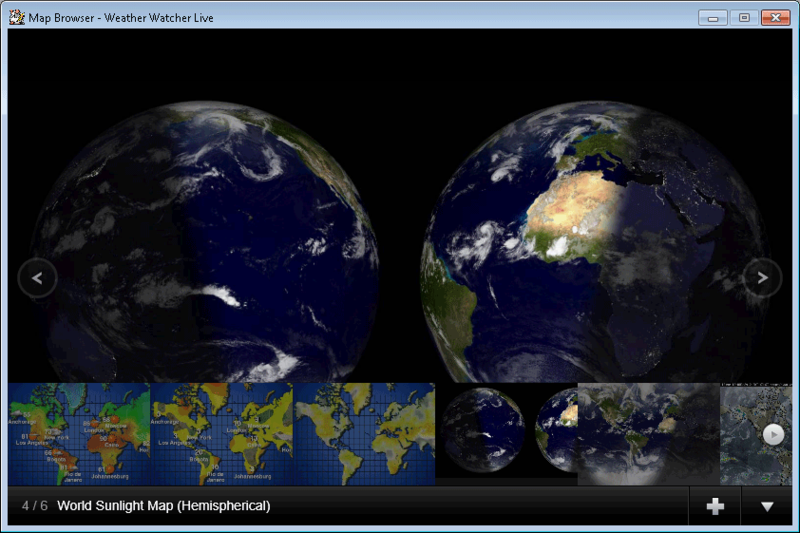 Nearly everywhere you look on the Internet, you'll find great reviews about Weather Watcher. Our customers say it best though, so we'll let them do the talking. Help | Privacy Terms Contact | Copyright © 1999-2019 Singer’s Creations. All rights reserved.